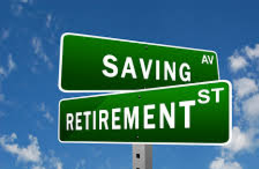 Since the introduction of the first 401(k) plans in the early 1980s, the plans have become the mainstay vehicle for many thousands of employers to contribute to their employees’ retirement assets and for many millions of American workers to save for retirement. With trillions of dollars to be managed and accounted for, a robust industry has grown to provide services to these plans. Plan sponsors (employers) and trustees must choose from a dizzying array of providers. As Plan Sponsor, is an annual review of your company’s 401(k) Plan on the horizon? In particular, have you focused on Plan Sponsor responsibilities with regard to the selection and monitoring of administrators, platform custodians, and investment advisors? If it is, Alvin Clay Financial Advisors LLC and its turn-key affiliations are prepared to engage with you in a 401(k) Review. On April 6, 2016, the Department of Labor issued sweeping new regulations on the definition of a “Fiduciary.” The implications are broad for all financial service firms who provide services to 401(k) plans, but most profoundly affect Broker Dealers and Insurance Companies who are paid for their services on a commission basis. By April 2017, many firms will need to make significant changes to their business models and disclosure policies. Members of our team have decades of experience in varied capacities with regard to 401(k) and other qualified plans – as Plan Sponsors, fiduciaries and participants. Now, as a fee-only, independent Registered Investment Advisor, we see the opportunity to fill a need in the marketplace as a fiduciary and advisor to 401(k) plans. 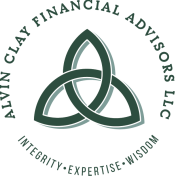 Should you believe, as we do, in making a 401(k) Review a priority, trust us with a conversation about how Alvin Clay Financial Advisors LLC can work for you.